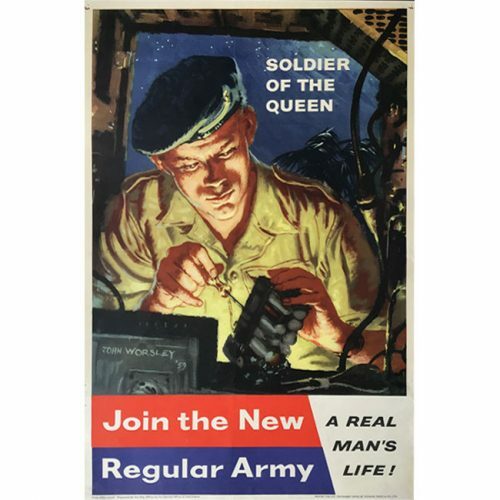 John Worsley was an artist and illustrator who served in the Royal Navy during World War II, became a war artist, was captured by the Germans – the only official war artist to suffer this fate – and was invaluable in a prisoner of war camp as a forger and creator of a dummy, ‘Albert R.N.’ later the subject of a 1953 film of that name. Having studied Fine Art at Goldsmiths’ School of Art Worsley became a commercial illustrator. Following the start of World War Two, he served in the Royal Navy spending three years escorting convoys in the North Atlantic and the North Sea. In November 1940 he was serving on HMS Laurentic when it was torpedoed, and he was rescued from an open lifeboat subsequently producing a painting of the scene. 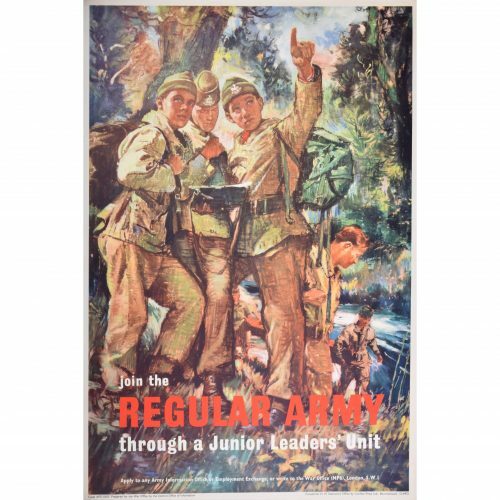 Thus brought to the attention of the War Artists’ Advisory Committee he became an official war artist. In 1943 he was captured whilst on an island in the Adriatic recording the activities of a party of saboteurs. Imprisoned at Marlag O he created the head of Albert R.N., a dummy made from papier maché, a wire frame and human hair. Albert’s eyes were made from ping pong balls, and – thanks to a device created by Lt-Cdr Tony Bentley-Buckle involving a pendulum made from a sardine tin – ‘he’ could blink and move his eyes. Following the escape of a prisoner, Albert stood in for him at roll calls for four days. In 1953 a film, ‘Albert R.N.’ was based on this tale, and Worsley made the head of the dummy used in the film. Following the war John Worsley continued to paint for the Navy. The Imperial War Museum has sixty-one portraits by him, and the National Maritime Museum a further twenty-nine. Latterly he worked for the children’s papers Eagle and Girl, most notably illustrating the comic strip The Adventures of PC 49. P.C. Archibald Berkeley-Willoughby’s story appeared on page three, directly after the Dan Dare lead cartoon. 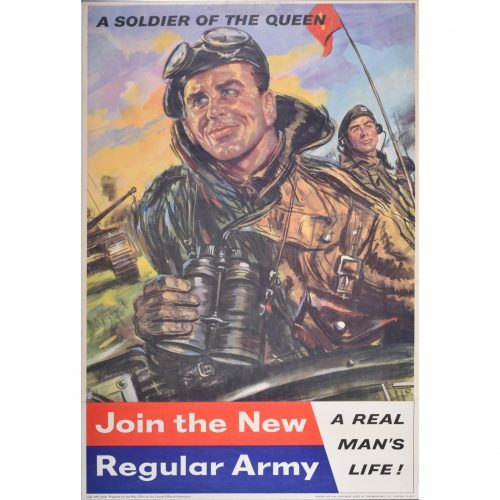 Amongst Worsley’s other commercial work is a series of Army Recruitment posters, in an inspired feat of recruitment as his style would have been instantly recognisable to the potential recruits who would have been brought up on Eagle.